Occurrence of kidney stones is one of the frequent complaints related with the kidneys and is more commonly found in men between 30 and 50 years of age. The complaint is not restricted to any region, community or race or to the human beings. Even the animals can have kidney stones. The salts and minerals, which are not required by the body, are naturally secreted out through urine. At times, they may become out of balance and may not be filtered out by the kidneys. In such case, they start getting deposited in the kidneys and develop into stones with passage of time. The stones may be of different types depending on the type of salt in the urine. Common types are calcium, uric acid, struvite, and cystine stones. Most frequently found are the calcium stones, out of which Calcium Oxalate and Calcium Phosphate are more common. These stones are not perfectly round and smooth like a ball. The shape is usually irregular. The average size may vary from one millimeter to a few centimeters in diameter. The stones may be found in one or both the kidneys and may be more than one in number at a time if the size is small. The pain (also referred as renal colic) radiates from the affected kidney and is generally felt first in the region of that kidney but may also be felt in the back, deep in the abdomen as low as the pubic area. In some cases it may be felt in the area just below the middle of the rib cage in the front. The pain may be a constant dull pain or cutting sharp pain with fluctuating intensity. Other symptoms may include nausea, vomiting, fever, chills, burning sensation while urinating, swelling of the abdomen and pus in the urine. If the stone moves and gets stuck in the urethra, obstruction of urine would be the usual result causing intense pain. This condition might or might not have hematuria associated with it. Surgery: Kidney stones can be easily removed through surgery but the cause of formation of stones is not redressed. 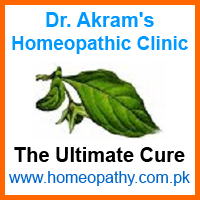 Homeopathic Treatment: Homeopathy is known for effective removal of kidney stones. Homeopathic medicines can effectively remove kidney stones and even stop further formation. Some stones are softer, which get dissolved and pass quicker than the others whereas stones larger than the urinary passage should either be dissolved gradually or broken so that they can easily pass through the urinary passage without bruising the urinary tract. This process may take from a few days to a few weeks depending on size and type of the stone, which can be ascertained through laboratory tests.